Women's Road To 2017 starts now A taste of what is to come in 2017, BulldogsTV bring you inner-sanctum access of the Western Bulldogs' Women's Team during from their exhibition match against Western Australia. Western Bulldogs one of eight Clubs awarded inaugural licenses in the AFL's National Women's League. We are genuinely thrilled to be part of the inaugural women’s competition, for the Club, for our fans but mostly for the young women who now can realise their dreams of being professional footballers. The Western Bulldogs today welcomed the AFL’s decision to grant the Club with a license to field a team in the National Women’s League. The Bulldogs, along with seven other teams shared in a historic moment for women’s football, all being notified today of their successful submissions. 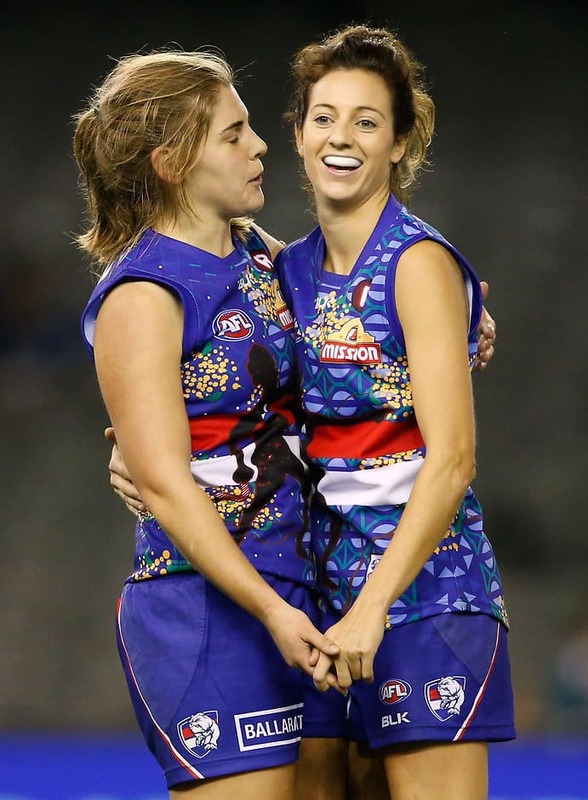 Building on four years in the current women’s exhibition series format, and over seven decades of involvement with women’s football previously, today marks a special day for the Western Bulldogs. VIDEO: Hear from members of the 2016 Western Bulldogs' Women's Team about what the new AFL National Women's League means to them. Chief Executive Officer David Stevenson said today’s announcement was a significant moment for women’s football. “We are genuinely thrilled to be part of the inaugural women’s competition, for the Club, for our fans but mostly for the young women who now can realise their dreams of being professional footballers. Next season's women's competition will feature six home-and-away rounds, with the top four playing two semi-finals and a Grand Final. The Bulldogs were announced alongside Melbourne, Collingwood, Carlton, Fremantle, GWS, Adelaide and Brisbane as the foundation clubs of the competition.